Even from beyond our atmosphere aviation is affected by the weather, as space weather is extremely powerful and gives off large amounts of radiation. Flight and Cabin crew should be fully aware of the hazards that radiation can pose to people and electrical equipment during flight. 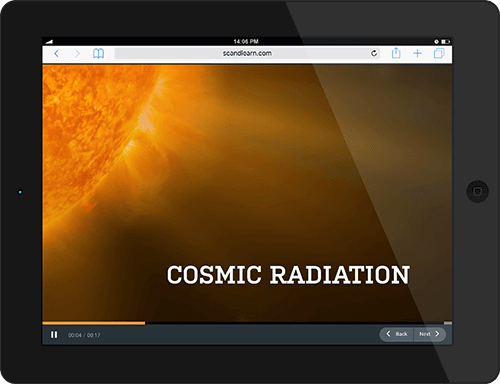 Scandlearn has developed a highly visual Cosmic Radiation e-course discussing space weather in detail and how it influences the aviation industry. Flight and Cabin crew must understand the different types of radiation, such as cosmic radiation and radiation from solar storms. Our e-training brings outer space closer to home so learners appreciate the impact of space weather.